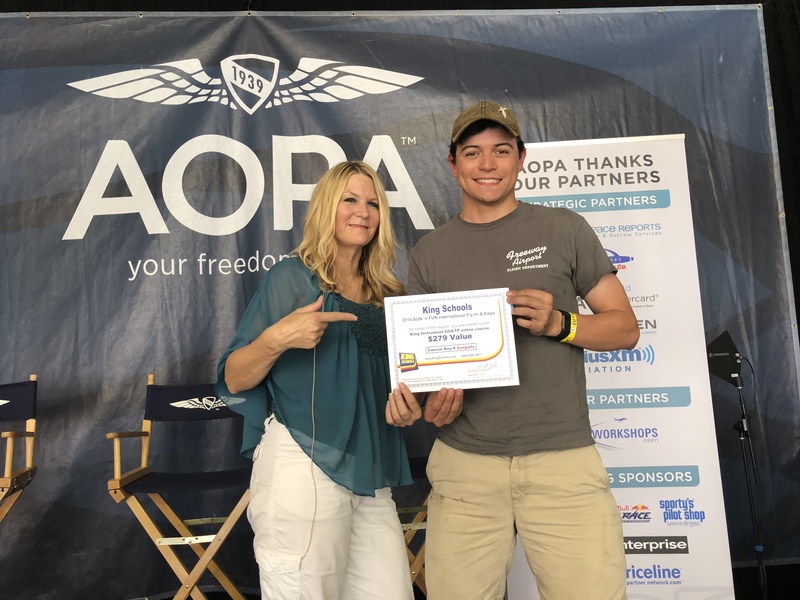 In last month’s installment of Exiting the Hold: Reaching your Aviation Goals we talked about the importance of quieting the critic, exhibiting determination and the importance of perseverance in reaching your goals. In the final installment we will focus on utilizing aviation community connections to help reach our goals. View isolation as an enemy in attaining your goals. When we are isolated it is easy to fall into old patterns of thought and behavior. Remember from earlier installments of Exiting the Hold, old thinking will not support new learning. Why not attend one of our wonderful aviation events? 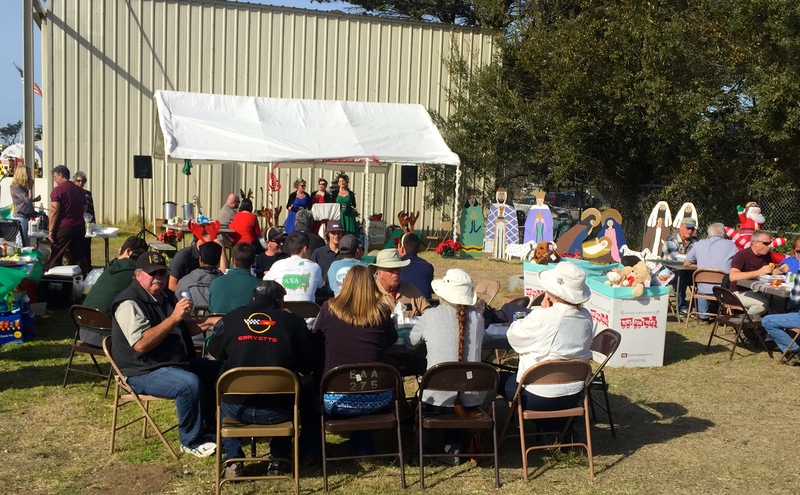 Whether large or small, these events are sure to inspire you. 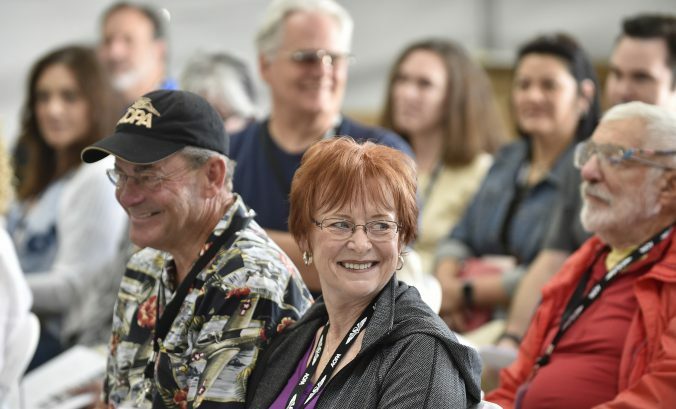 Gatherings are a way to network with old-timers, connect with mentors, and meet others on the same path of growth. Make sure to fully utilize the support of your friends and family. Try putting this simple formula to work for you. First, change your thoughts. The second step is to change your language. Next comes changing your actions, and finally your experience will change. Here is an example with the goal of getting a tail wheel endorsement. Your old thinking of “I don’t have the rudder skills to fly a tail wheel” changes in to “I can learn the skills I need to fly a tail wheel.” Next comes the language piece. Tell a friend, “I am learning to fly a tail wheel.” The action part is scheduling the airplane and instruction necessary for the endorsement and completing the training. And finally, voila! you are a tail wheel pilot. 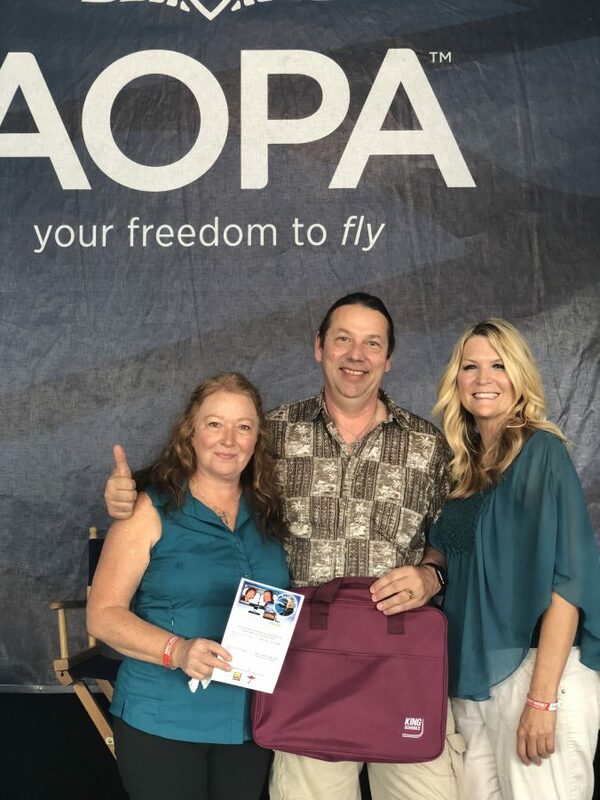 Exiting the Hold: Reaching your Aviation Goals has been a very popular presentation series over the past year as I have presented across the country from Sun n Fun, to Oshkosh, to the Capital Airshow in California. I have decided in 2019 to continue with this series in hopes of reaching even more folks who feel stuck in life, and hopefully to inspire them to move forward toward success. In early 2019 I will be partnering King Schools to offer Exiting the Hold in beautiful San Luis Obispo California. ACI Jet will be hosting the evening seminar which will be an opportunity for us to gather together, earn FAAST credit, see the presentation, and also perhaps win the drawing for a certificate for any course King Schools offers. Look for more information soon. It is possible to exit the holding pattern you have been flying. Acknowledge that you have been stuck, use community connections to decrease isolation, make informed choices about resources, and be determined to change your aviation future. Look at obstacles merely as challenges to overcome; in the end your flying will be safer and more enjoyable and you will be proud of your accomplishments. In last month’s installment of Exiting the Hold: Reaching your Aviation Goals we talked about the importance of being a flexible thinker. This month we will focus on quieting the critic, exhibiting determination and the importance of perseverance in reaching your goals. “You are not enough.” “You don’t have enough time, intelligence, money or opportunity.” For most people their critic gets up in the morning before they do and goes to sleep well after they do. This critic keeps a running commentary of everything they have done wrong all day, the shortfalls, and missed opportunities. In order to master something new, you will have to first master your critic. This process must be quite active. Simply trying to ignore the critic will not work. Passivity will not work. The critic lives in scarcity. In order to break out of the hold, we must be able to live in plenty, and that requires inserting positivity into your thinking. It might be helpful to think of the critic being on a dimmer switch. Our goal is to turn the dimmer switch down. If you make a mistake in training, fess up, analyze what went wrong, and move on. When initially presented with stressful stimuli, our brain and body cannot tell the difference between fear and excitement. A person sitting on a ride in an amusement park that loves roller coasters is going to have the same bio-chemical reaction from the ancient part of the low brain as the person seated next to them that hates riding roller coasters. The body doesn’t know the difference between the two beliefs. The layer that makes that determination is thought which comes from the higher part of the brain we don’t share with reptiles. The thoughts you have about your journey will determine whether you perceive worry or anticipation. In the same way that we need to keep on the correct side of the power curve in an airplane, we must do the same with our thought layer. Determination has been shown to be one of the key factors in success. Our greatest strength lies not in never having fallen, but in rising every time we fall. This old adage rings true in pursuing your aviation goals. As my CFII and dear friend said, “Instead of looking at obstacles as a brick wall, instead look at them as picket fence.” Develop the ability to look past the obstacle and realize there is success on the other side. Demonstrate sheer determination and be willing to apply yourself in any situation that will allow you to continue to build time, complete your training, and pursue advancement. Perseverance means that you continue to strive for excellence and guard against complacency. Remember the critic is only a dimmer switch away. The following is a story about dealing with the ups and downs of learning to fly a bigger airplane. It was a chilly spring morning in Talkeetna, Alaska. An uncontrollable shiver racked me as I walked up to the gleaming Garrett Turbine Otter. Set against a pale sky populated by thin cirrus, the white airplane seemed huge, remote, and utterly imposing. This was to be my first session of flight training in the beast, with the intent of culminating in my first IFR 135 checkride. 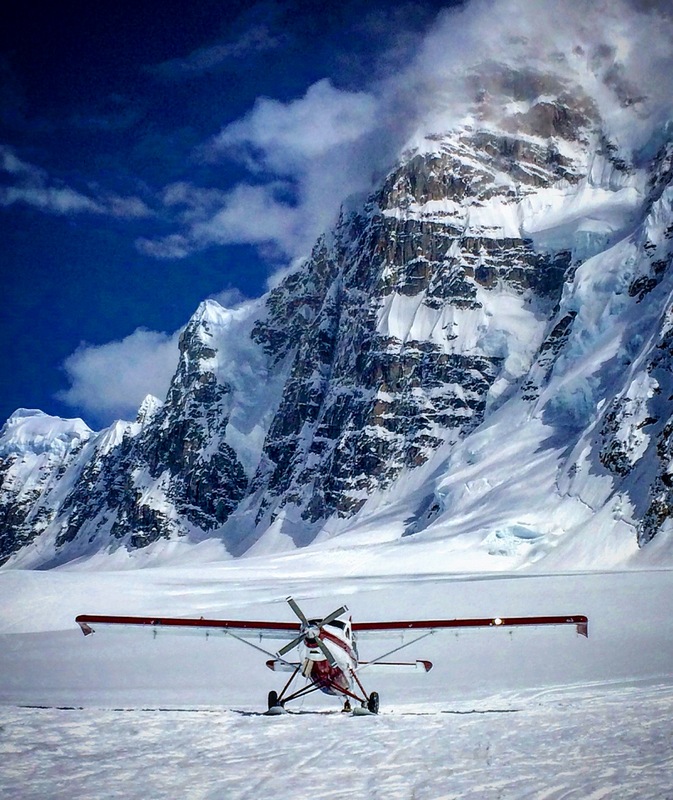 As a mountain guide on Denali, I’d been a passenger in the Garrett Otter before becoming a commercial pilot, and was well aware of their capabilities. 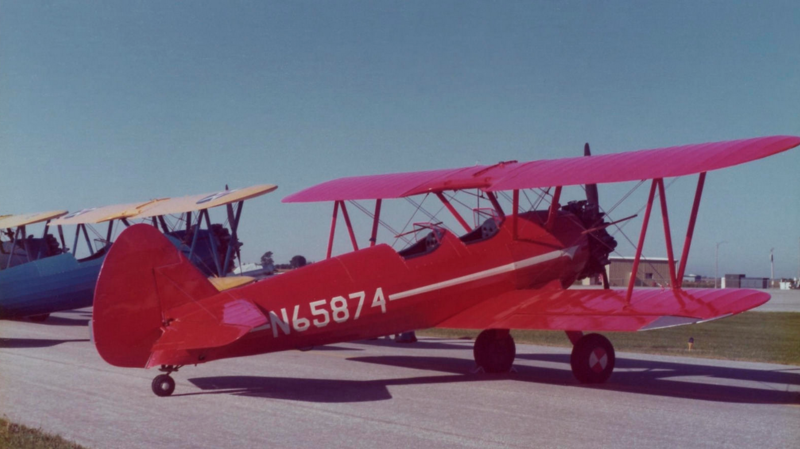 To me they’d always seemed like the mightiest weapon in the off-airport kingdom: a fire-breathing steed that behaved like a Super Cub at 8,000 pounds…yet also was able to fly through the clouds, cruise fairly fast (for a STOL airplane), and ascend to the 20,000 foot summit of Denali with ease. It seemed like a big jump for a low-time pilot like myself. My shiver, I realized, was born of nervousness and not the cold. The mighty mountain ship in its natural habitat. Denali Basecamp, Alaska. Photo by author. Our two check airmen are merciless in their flight training and testing. The FAA would be proud. The main instructor is a powerful CFI and one of those pilots that has that “touch.” It’s hard to argue with such talent. He typically employs the method of negative reinforcement. We have been good friends since far prior to my employment at the air taxi, but every spring we set aside our friendship until after the checkride. My hands were shaking as I climbed into the cockpit with him. He sat there in the co-pilot’s seat, clipboard and pen in lap, sunglasses on, his jaw set sternly. And then I began my very first engine start. As I was toggling the fuel enrichment switch, he remarked “…I don’t know how you’re getting it to do this, but you’re moving the whole instrument panel with the switch. Light touch, OK? Don’t white-knuckle it.” Get a hold of yourself, I thought. The moment I’d been waiting for: takeoff. I’d seen it done many times. Now I was the driver. The whole ship shuddered and ripped into the sky after only a few hundred feet of takeoff roll. All of a sudden we were at 6,000 feet, maneuvering above a glistening scattered layer with the emerald valley below. The session went unbelievably well. My nervousness turned to sheer joy. I’ve got this. Due to scheduling, a week passed before my next session. My hands still shook as I climbed into the cockpit with my fearsome friend, but I was more excited than nervous. However, things went poorly from the start. I couldn’t even taxi the thing. There were about a million people out on the ramp that day, and they were all watching me, the “girl pilot,” struggle. Everyone on the field has always been very accepting of me, but I do think that I get watched more closely. “You’re not inspiring confidence in anyone,” said my instructor as he looked over at the watchers. A harsh but apt observation. It took all I had just to get the thing to the runway. Inevitably, the distraction of the difficult taxi led to me making more mistakes. We sat in silence on the runway after I’d taken the active before completing the pretakeoff checklist. I listened to the powerful, rich hum of the turbine at high idle, ready to launch into the sky. “What do you think you should do?” he said. After a few seconds, I pulled the condition lever back. “I think we’re done for today,” I replied. He nodded silently. After a fight to get the airplane back to its parking spot, we shut down the engine. “What do you think you could have done better?” The classic CFI question. “I think something is broken on the plane,” said I. His thoughts were written on his face: excuses. I don’t get this. I lay awake all night, contemplating my failure. A terrible voice played in my head: You think you’re a pilot? You want to fly like the best? Well, you’re nothing but a little girl, and you can’t even get the thing to the runway. And you’re a terrible instrument pilot. How are you ever going to take a checkride in this thing? But another, softer voice spoke through the murk: Maybe something really is broken on the airplane. Taking chances can lead to occasional failure. If you didn’t love the thrill, you wouldn’t have chosen this path. As fate would have it, a bushing in the tailwheel was the culprit. The thing steered beautifully after its replacement. It was time to rebuild my confidence. When I began to write this, I had intended to share some advice on exactly how I managed to come back after such doubt. But in the process of writing, I realized I was joining the ranks of self-help articles. During my troubles, I read close to a million of those things on rebuilding confidence…and unanimously found them to be annoying and inapplicable to my situation/personality. So I’m not going to proffer any advice. All I can say is this: I simply decided that flight training is no place for self loathing. The line between confidence and arrogance is thin, and one that I’d probably taken too seriously. The doubt was degrading my performance. Standing in front of the airplane before my next session, I decided to let it go. 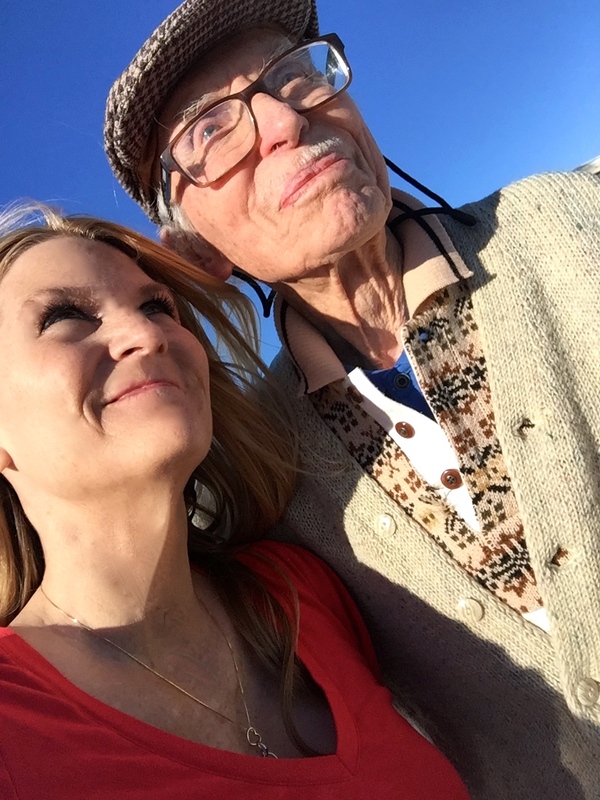 It was an experiment in personality alteration…but what did I have to lose? And that’s when things started going really well for me. A stiff crosswind was blowing the day of my checkride. The check airman was also the owner and director of operations, a fact that I found rather intimidating. Though an affable boss, he is every bit as stern with our flying as his henchman the instructor. With my new mantle of confidence, I managed to keep it together as I preflighted the dragon. “Just remember,” said one of my colleagues as I walked out the door, “…if you don’t pass this checkride, you won’t have a job and it’ll be really hard to find another one!” And, because I had chosen to be a confident pilot, I simply laughed. 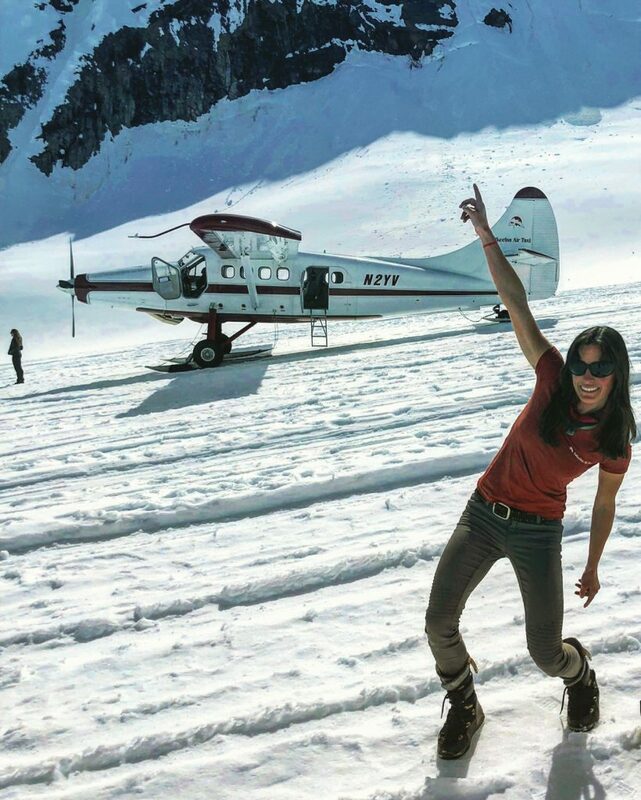 Leighan Falley grew up in Alaska and works as a professional pilot among the continent’s tallest mountains. She lives in Talkeetna, Alaska, with a family that includes a climbing ranger husband, two little daughters, and a rough-looking PA 22/20 on tundra tires. In last month’s installment of Exiting the Hold: Reaching your Aviation Goals we talked about understanding what type of learner you are to maximize your educational experience. This month we will focus on the importance of being a flexible thinker. Neural pathways are like goat trails in the brain. We establish well-worn patterns of thinking and develop neural pathways, which become default ways of thought behavior. Thought, experience and behavior about events form schemas, a cognitive framework, that helps us to interpret and understand our world, and can be predictive in nature. The habit of assimilation means that we often times take new information and try to make sense of it through trying to relate it to old learning or ways of thinking. However many times information or experience won’t fit in an existing schema. In those times we have to accommodate the information into a new way of thinking. An example would be a young child that knows what a dog is [four-legged animal], but when sees a cow incorrectly identifies it as a dog. This child will have to accommodate the information of a large four-legged animal into another thought box to know it is a cow. As an adult, it is sometimes difficult to allow yourself to be a learner, yet that is what we need to do to reach our goals. Brain research in decades past pointed to brain development being completed in stages of childhood and remaining relatively fixed until death. However in the late 90s research began to show evidence of neural plasticity, the idea that your brain isn’t completely hard-wired. Through experience and training, we can re-wire or alter the brain’s functioning, forcing a cortical and neuronal re-wiring. Breaking out of a cycle of inaction or inactivity requires action. If we default to old ways of thinking we will do ourselves a disservice. Flexible thinking is key to getting out of a holding pattern. Practice makes practice, and through practice you will gain mastery. Having one achievement opens up the belief that you can do more. Learn from the best, and let yourself make mistakes, give yourself grace, and marvel how education can change your brain. I am getting ready to head to Longview Texas to teach Right Seat Ready! a companion safety seminar I co-founded with my teaching partner Jan Maxwell. This national Mooney conference called MooneyMAX takes place October 10-14. The one-day Right Seat Ready! seminar is open to all non-pilot companions in single engine airplanes. This is the second part of six in my series Exiting the Hold: Reaching your Aviation goals. Last month we focused on the importance of timing and the Greek concepts of time: chronos and kairos. This month we will be delving in to choosing a course of study or preparation for your meeting your goals. Having just returned from Oshkosh at the beginning of this month, the use of my instrument rating in actual weather conditions is fresh in my mind. 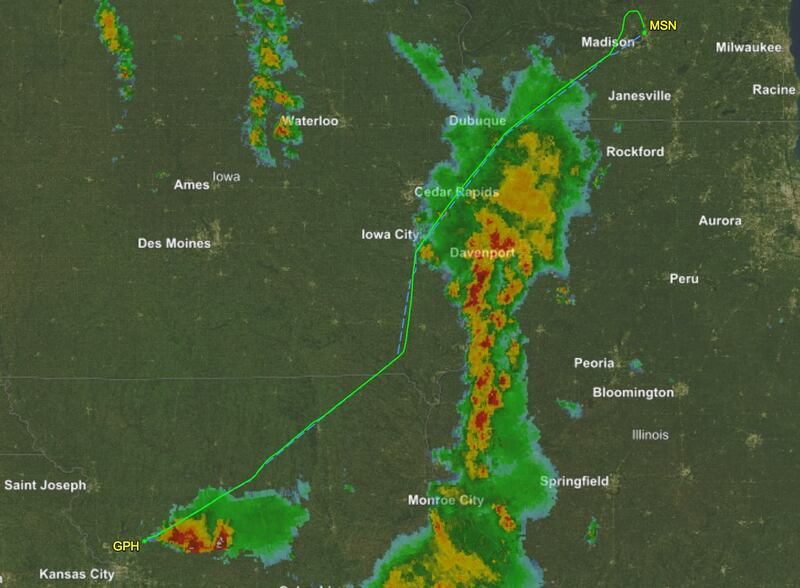 The decision-making I used for the 26-hour solo flight relied heavily on my IFR training. The smoke, rain, low visibility, thunderstorms and clouds with ice, I encountered gave me real-world experience that tested me. Learners are as variable as the airplanes they fly. Now that you have made the decision to reach your goals, set yourself up for success. Are you choosing a professionally developed curriculum or leaning on a variety of books and study guides? Do you need the pressure of having a time-based weekly program, or are you self-motivated enough for home-based study? Whatever you choose, choose wisely to maximize your chance of success. The aviation community is very lucky to have wonderful educators and educational institutions that have been around for decades. Over the years I have used King Schools, Rod Machado, Sporty’s, Gleim, and AOPA’s Air Safety Institute. Don’t skimp on the quality of your study program. My advice is to purchase the best that you can afford. Think of your education being an investment in you, your life and longevity. As one of my IFR instructors said to me, “Here is where we are going to go to school.” I am a psychotherapist with 26 years of experience. In that time I have become fascinated in the differences between males and females, specifically in terms of brain differences. I am not a brain researcher; my thoughts are based on a basic review of the current science, and are by no means exhaustive. You should also know that there are exceptions to the facts and we can train our brain to do less than innate activities. Men have slightly larger brains even when adjusted for their larger heads. They have larger parietal cortices (in charge of space perception), and amygdala (which regulates sexual and social behavior). This might explain why visual-spatial tasks are easier for men. They tend to be able visually manipulate things in their brain, whereas women tend to need to see spaces and shapes on paper. Men also have more gray matter in their brains, which is full of active neurons. This might explain why there are more men in physically or mentally active professions like airplane pilots, bush guides, racecar drivers, and mathematicians. Men also tend to be more systematic in their thinking. Women’s brains are 8-10% smaller than the male brain, yet on average, are much more active. Women have larger volume in both the frontal cortex (the inner CEO) and the limbic cortex (involved in emotional responses). This, in conjunction with speedy connections facilitated by the white matter, is another reason why women’s brains work faster. Renowned brain researcher, Dr. Daniel Amen’s research shows that women have greater activity in the brain’s hippocampus. The hippocampus is the part of the brain that helps store memories. In addition, the female brain has a larger corpus callosum, which is a bundle of nerves that connects emotion and cognition. As a result, women are better with language abilities and rely more heavily on oral or verbal communication. They also tend to have a better time controlling emotions, although they are more emotional. Women, on average use four words to every one word a man uses. 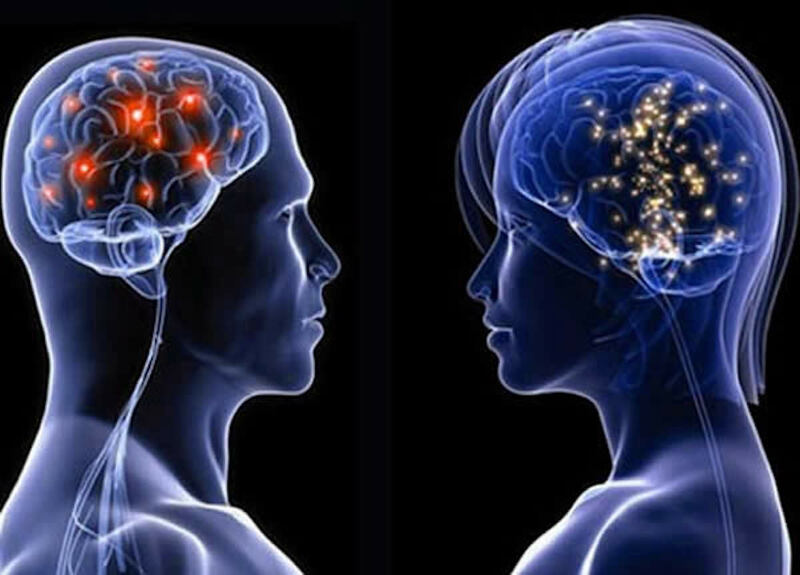 The female brain secretes more serotonin and oxytocin, which connects them further to the emotional world. These differences are important because when you know what lights up your brain, you will be better equipped to make the best “course of study” decision. In sum, males will be excited about the individual mastery, competition, or competence in aviation. Females will be excited to be part of a collaborative, interactive group of students. Males might be better with conceptualizing basic principles of flight. Females would learn better by hands-on demonstration. In sum, think about yourself, your learning style and make the choices that support an optimal environment for your education. I decided that 2017 was my year to get my IFR rating. In late 2016 I started studying for the IFR written exam. I used online training, attended a weekend intensive seminar, and had individual tutoring. Although my friends knew I was studying, I kept my test date a secret. I didn’t want anyone to know I was testing, but once I passed with a healthy 90% I did put it out to my friends and family that I would complete the rating in 2017. I know myself. I knew that I didn’t want the social pressure of folks knowing I was taking the written. But I did want the social pressure of publicizing that I was committing to getting done in 2017. Think about your personality and the impact peer pressure will have on you. It might be a good thing to put in to words your goals and methods for attaining them. There is never a good time to do anything. As discussed in last month’s column there are instances where you just have to leap. Think about your life, responsibilities and energy level. You might be best served by a weekly course of instruction, slow and steady toward the goal. However, your work or family schedule might be better suited for a two-week intensive program. Good luck in determining the course of study to help you reach your goal. Next month we will tackle the third element in Exiting the Hold: Quieting the Critic. 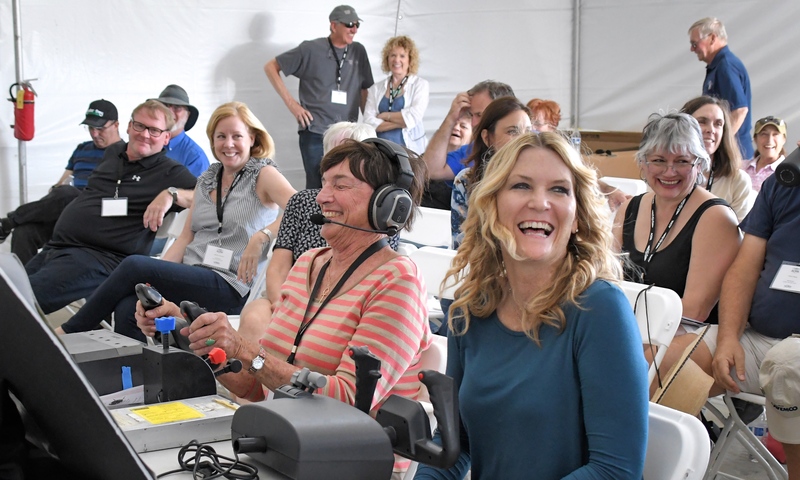 For those of you on the West Coast, if you would like to come see my multi-media presentation of Exiting the Hold: Reaching your Aviation Goals, I will be presenting at the Capital Airshow in Sacramento, CA [Mather] on Sunday September 23rd at 10:40 a.m. in the education pavilion. The answer caught me off guard and everyone else. The silence in the room was a reality check. We all knew her response was true the instant she said it. Since then, I have been focusing on how in the world (pun intended) I can reduce my risk of pilot failure to a level that I can accept and will allow me to sleep at night. What you will read in this blog post on “Physical Preparations for a Polar Circumnavigation” and the next one on “Mental Preparations for a Polar Circumnavigation” are my attempts to mitigate risk as much as possible. This allows me to make an informed decision to accept the risk or walk away and piss off a hell of a lot of people. I believe these nine preparation tips will be of value to all pilots. While you might not intentionally put yourself into a similar situation over the South or North Poles at 40% over max gross, we all know as pilots you can never predict 100% what the Universe will throw your way wherever you’re flying in the air or in life. There is probably no single thing you can do to improve your chances of survival in an aircraft than to improve your vision. Spotting an airport or hazards even a few seconds sooner can save you. Knowing that, I have made my vision a major focus of my pre-flight efforts. I don’t want to have to rely on glasses or contact lenses that could fall off or out during a critical phase of the flight. I would literally be “flying blind” if that happened. For that reason, I had corrective eye surgery and not just the refractive procedure that lasts about five years. I decided to skip that procedure and have the lenses inside my eyes replaced as they do with cataract surgery. One eye needed to be set closer to see the panel and the other further away since the eye muscles of a 52 year old are not as strong as someone younger. The new lenses they put in are clearer than what I had and can actually focus like my original lenses do, which allows me to see both near and far uncorrected. The amount of time you will waste in a cockpit saying, “Say again all after” or worse yet, misunderstanding a critical communication, can be more costly than anything you will ever spend on a noise canceling headset. The technology today is absolutely amazing. The Lightspeed headset I use actually charts the surface of my ear and calculates a mathematical equation to cancel out noise based on the environment where I’m flying. Not only does this keep the cockpit “Zen,” but it makes your flying experience so much more enjoyable. Buy the absolute best noise cancelling headset you can afford. If you need to have a garage sale, work an extra shift, or combine your birthday and Christmas presents from family members, do it. Pilots are rarely referred to as athletes. In my mind however, pilots are athletes that play in the game of life and death and can’t afford to lose even once. This doesn’t mean you need to hire an Olympic trainer and run marathons, but you do need to get moving. I spend 60-90 minutes a day walking, running or riding my bike in Balboa Park. You need to get your heart rate up. My resting heart rate is currently 50 beats per minute which I’m told is very good. Normal resting heart rate is 60-100 bpm and a well-trained athlete’s resting rate is closer to 40 bpm. As someone who spent years in a gym trying to force my body to be something it was not and nursing one injury after another, I learned we need to train at a rate we can maintain forever and we need to be a little gentler and more loving with our bodies. Next, I did an inventory on my body, noticing anything that would be a physical distraction to me in the cockpit whether on the ground or in the air. If you don’t know where to look, start with any pain you have. I had developed some ingrown toe nails from my days in the military and decided I was tired of dealing with the pain and having them cut out every month or two. This recurring situation could be an issue for me in a foreign country on my three month polar expedition, given that it took three procedures with a month’s recovery for each before the nails stopped growing in the wrong direction. But now I’m free of that pain and can bring my focus back to where it belongs when I’m flying. I’ve changed my diet. After doing a few three-day juice fasts this past year, I dropped my weight by eight pounds. I started to focus on my energy level based on what I ate. I eliminated meat from two of my three daily meals. I noticed how gluten made my stomach bloat and how meals late in the day caused me to sleep hot for half the night. Processed foods tasted great but made me tired. When I ate steamed veggies or drank a fruit shake instead, I performed better and felt like I was doing something good for myself. I learned to fly my Turbine Commander from a very proficient instructor with 10,000 hours in that type of aircraft. When he wasn’t available for recurrent training, I had a moment of panic and then realized I could benefit from someone who had flown in many types of turbo prop aircraft. My new instructor from Access Flight Training Services taught me a few new tricks and I’ve become a better pilot in the process. Before I leave for my Pole to Pole trip I’m scheduled to fly with Mike Jesch a 20,000 hours airline pilot and Master CFI, as well as a factory expert on the Avidyne avionics system that is being installed in the Citizen of the World. 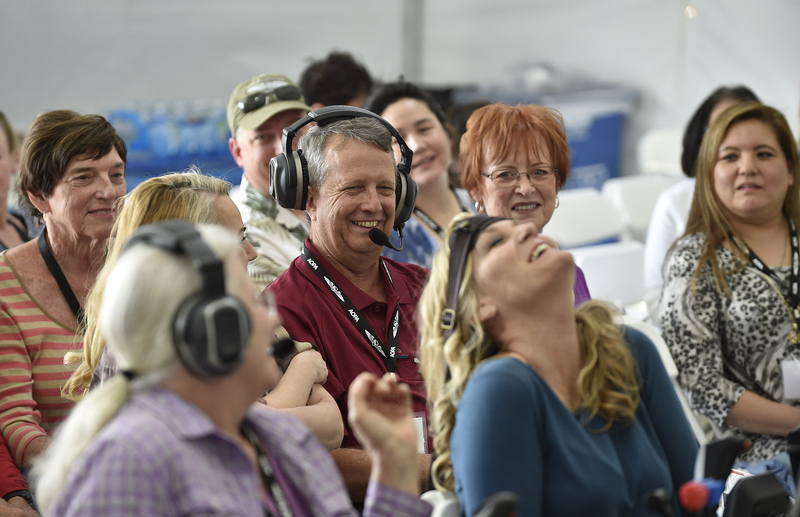 Flying with other pilots can teach you new things and build your confidence. 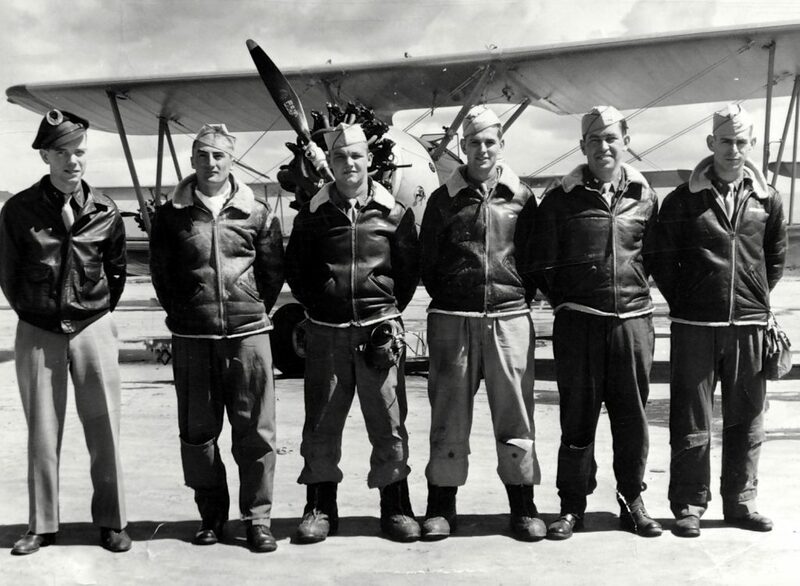 Flight suits and bomber jackets were designed in the 1940s. 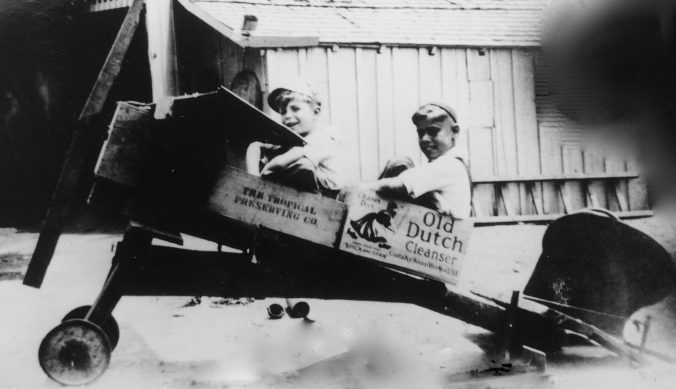 Aviation has come a long way and there are now street wear style shoes, compression socks, pants, shirts, sunglasses and helmets designed specifically for pilots. They are functional, highly engineered, hip and cool so you can wear them in or out of the plane. 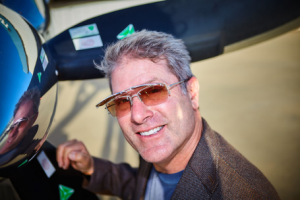 For example, the sunglasses I will use on my Polar Circumnavigation were custom designed by Scheyden for me to handle two light conditions – one below the clouds and one above – with a simple flip of the frame. Aviation and apparel company, Lift Aviation, manufactures clothing that has more engineering design in it than the B-1 bomber. This one can be tricky and equally critical to your well-being, relationships and productivity. I came to realize that I had people in my life who were making too many demands on my time and were not helping me get where I needed to go. While it’s important to me to be supportive and be there for others, the clock is ticking for my trip. To keep my plans on track I had to start buckling down and focus on my trip and myself. Now I let people know upfront I will make time for them if they are a supporter of my trip, but if not they will have to wait until after I return. I’ve learned to let in people who add to my life energetically. I know this because when I leave an interaction I feel uplifted and I sense they do too. When I realized I couldn’t do it alone and no one person has the expertise or time to do everything I started to look for experts in different fields. To train me to survive in the harshest conditions on the planet, I found Tim Kneeland, a survival expert. To help me with go/no go decisions based on weather I asked Mike Jesch, an Airline Captain and master CFI, for his expert advice. To tell me what day to be over the South Pole and what I should expect, I sought out astrophysicist, Brian Keating. To help outfit my plane with the very best aviation gear on the planet, I found over 50 sponsors, all experts in their businesses and, thankfully, willing to help me go the distance with mine. This list is far from complete but a great place to start as a GA pilot. Please remember that being a pilot is a lifestyle and staying safe requires you to live a healthy lifestyle every day. Please feel free to share your ideas with the community. The best suggestion gets a signed copy of the second edition of Zen Pilot: Flight of Passion and the Journey Within. Robert DeLaurentis is a successful real estate entrepreneur and investor, pilot, speaker, philanthropist, and author of Zen Pilot and Flying Thru Life. A Gulf War veteran, Robert received his pilot’s license in 2009, completed his first circumnavigation in 2015, and is currently preparing for his South Pole to North Pole expedition in the “Citizen of the World,” taking off December 2018 with his mission, “Oneness for Humanity: One Planet, One People, One Plane.” For more information, visit PoletoPoleFlight.com. Fly for a minute, turn for a minute, fly for a minute, turn for a minute. In instrument flying you might be instructed to enter a hold because you cannot land due to weather being below minimums, inbound traffic congestion, or runway unavailability. At some point you must assess whether landing at the intended destination airport is feasible or flying to the alternate is more prudent. Much like flying an actual hold, there comes a time in every pilot’s career where an honest assessment of performance, desires, and goals needs to happen. Are you one of the many pilots are stuck in the hold, unable to complete your aviation goals? For the next few months I will be highlighting one of the six keys to exiting the holding pattern and reaching your goals. 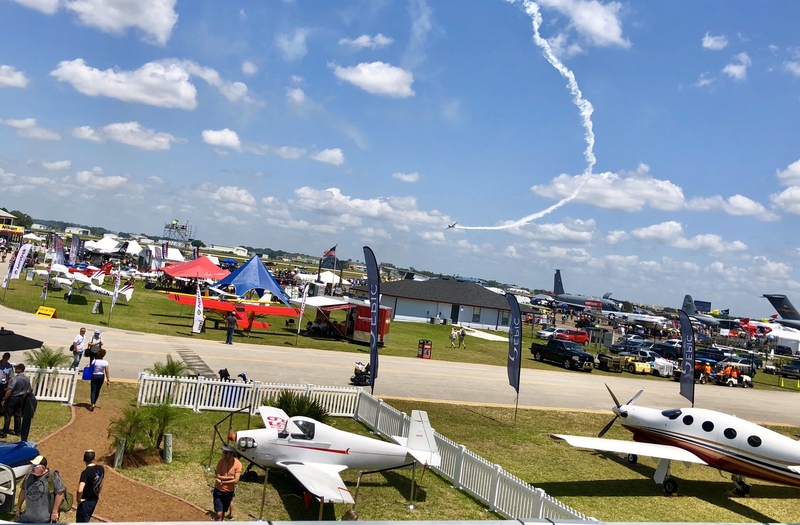 If you plan on attending EAA AirVenture/Oshkosh this year, please come and see my multi-media presentation on Exiting the Hold on Saturday July 28th at 11:00 a.m. at the AOPA Pavilion. The presentation is fast paced and lively. You might also win the door prize of a King Schools IFR course. 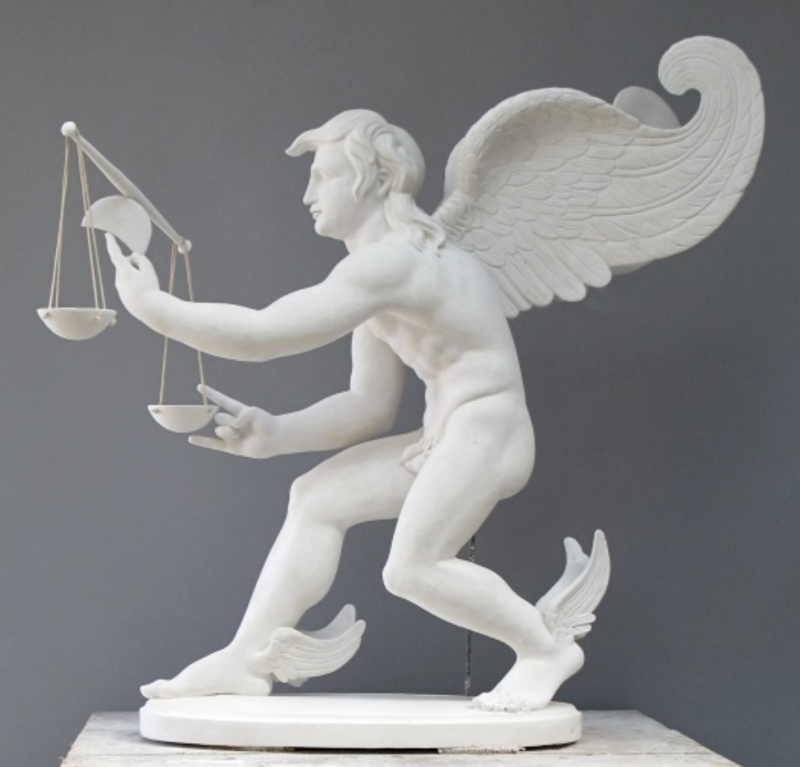 The two Greek words for the measurement of time are chronos and kairos. Chronos describes linear, chronological time such as minutes, hours, days, and years. 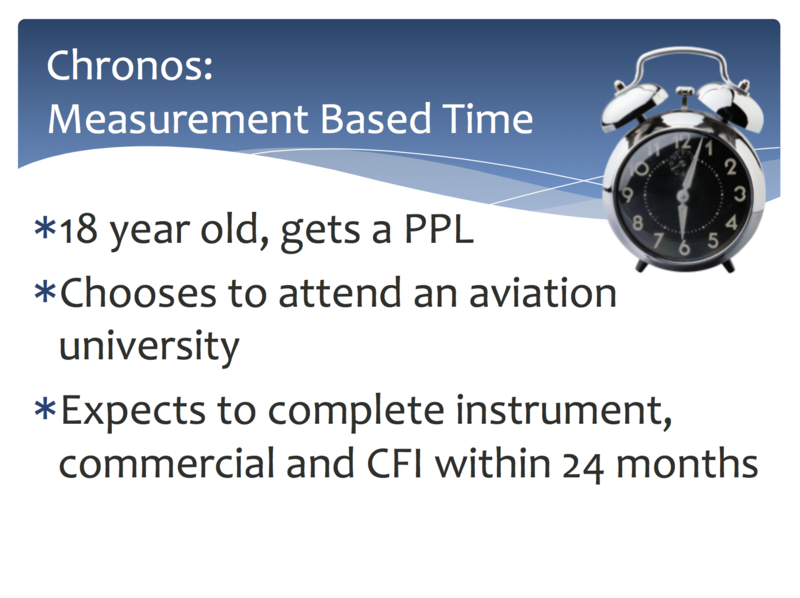 In regard to aviation, chronos timing would be calendar or time-based. For example, an 18 year old getting a PPL and attending a university aviation program would expect to complete instrument, commercial and CFI in a certain number of months. Contrasted with the other Greek word for time, kairos, meaning the indeterminate moment that is propitious for action and this instant of time must be seized with great force. A decision based on kairos would be a gut feeling, or a chance opportunity that presents itself. Many pilots stuck in the hold are waiting for the “right time” [chronos] to pursue their next goal, or rating or hopelessly feel like time has passed them by. 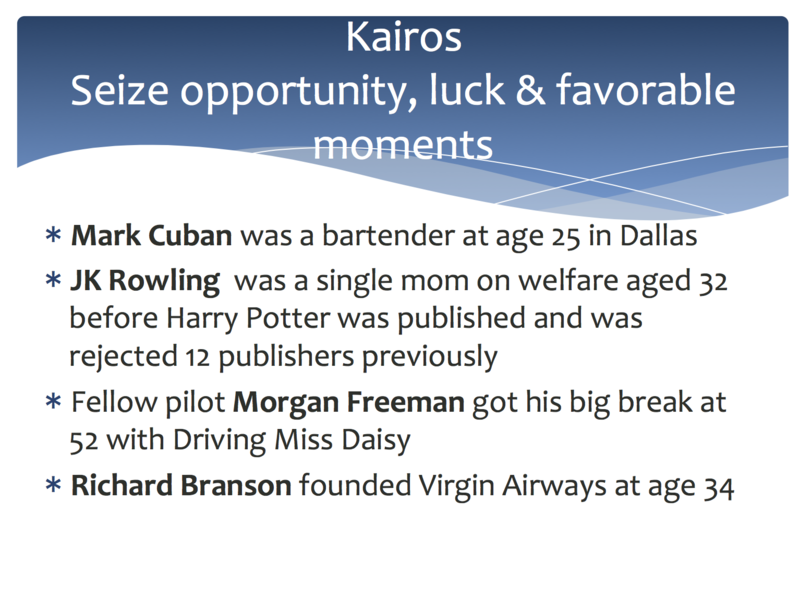 However, they don’t realize that they can make a decision based on opportunity and effort [kairos]. Here is the inscription on the statue of Kairos above, which explains the Greek myth of Kairos. And who are you? Time who subdues all things. Why do you stand on tiptoe? I am ever running. And why you have a pair of wings on your feet? I fly with the wind. And why do you hold a razor in your right hand? As a sign to men that I am sharper than any sharp edge. And why does your hair hang over your face? For him who meets me to take me by the forelock. And why, in Heaven’s name, is the back of your head bald? Because none whom I have once raced by on my winged feet will now, though he wishes it sore, take hold of me from behind. Time is really on your side. Take chances when they present themselves. Be prepared. Keep an open mind. Your history does not have to define your aviation destiny. If you are at Oshkosh next month, come by Mooney, or my presentation at AOPA and say hello, if you have the time! May 31, 2018 / Ron Rapp / Comments Off on The Chicken or the Egg? It seems to me we’re at a bit of a tipping point with the GA ecosystem. There simply aren’t enough instructors around to solve the pilot shortage. 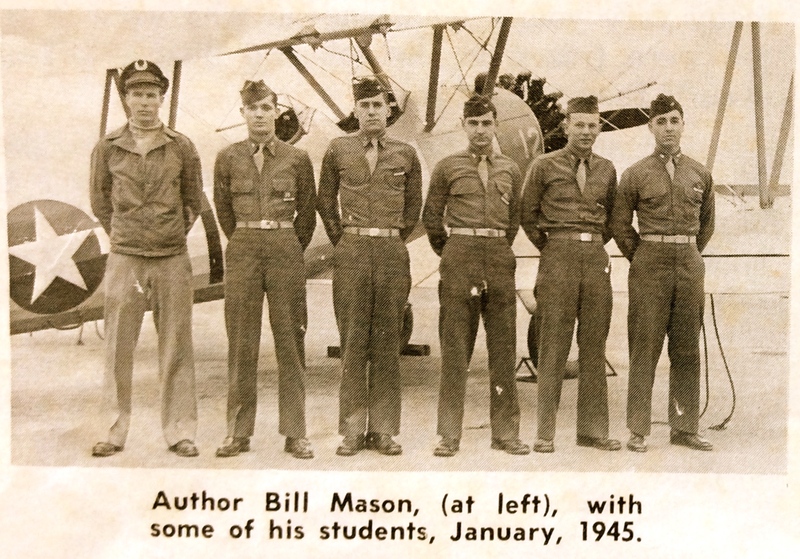 And without enough pilots, we certainly won’t have a sufficient supply of instructors. I know of a half dozen people just at my local FBO—mainly line service, flight attendants, and office personnel—who already work in the aviation sector, see the shortage, and want to be part of the solution. But they can’t, because they go through instructors like a mouse through cheese. Every time I talk to one of them, my queries about how their training is progressing are met with the same reply: I just lost my instructor, and I’m not sure where the next one is going to come from. Then there’s a multi-week or -month delay while they’re hooked up with a fresh instructor, who flies with them briefly before leaving for a regional airline. It begs the question: What happens when you run out of commercial pilot certificate holders to turn into CFIs? It’s a chicken-and-egg scenario, but the problem is a serious one, because eventually, it will encourage airlines to find their own solutions, one of which will likely be ab intio. I foresaw this four years ago and wrote about it. Will it solve the airline’s labor needs? Yes. And it will damage general aviation in the process. So what’s my beef with this method of training? To put it simply, in an era of atrophying pilot skills, ab-initio is going to make a bad problem worse. While it’s a proven way of ensuring a steady supply of labor, ab initio also produces a relatively narrow pilot who is trained from day one to do a single thing: Fly an airliner. These airline programs don’t expose trainees to high Gs, aerobatics, gliders, seaplanes, banner towing, tailwheels, instructing, or any of the other stuff that helps create a well-rounded aviator. The problem is, all those “crap” jobs young fliers complain about (and veterans seem to look back on with a degree of fondness) are vital seasoning for a pilot. He or she is learning to make command decisions, interact with employers and customers, and generally figure out the art of flying. It’s developing that spidey sense, taking a few hard knocks in the industry, and learning to distinguish between safe and legal. These years don’t pay well where one’s bank account is concerned, but they create a different type of wealth, one that’s often invisible and can prove vital when equipment stops working, weather is worse than forecast, or the holes in your Swiss cheese model start to line up. My writing here on the AOPA blog is centered on business aviation, but I’m touching on this issue because it’s a problem that will affect everyone who flies. In fact, I recently mentioned it in AOPA Pilot Turbine Edition. It’s getting hard not to, actually. 1) Many flight schools have closed, victims of the financial crisis of the last decade. 1. Reduce the cost of learning to fly, but do so in a way that doesn’t cut into the CFI’s meager compensation. The best, fastest, and easiest way to do this? Change planes. Ditch the SR22 and replace it with a Champ, Citabria, Cub, or other dirt-simple tailwheel design. It will turn out pilots with better stick-and-rudder skills, and reduce the hourly cost of the airplane by $100 or more. Now take that money and put it in the CFI’s pocket. Or split the savings between the student and his or her instructor. 2. Targeted tort reform to assuage the concerns of the retired professional pilots, post-retirement instructors, and others who have the experience we want in our CFIs. 3. Create an industrywide CFI insurance pool to ensure strong liability insurance is available at reasonable cost. 4. Start seeing instructors for what they truly are: the steel girders which hold the aviation world aloft. The base of the pyramid. The very foundation. The ones who determine just how good an aviator that airline, charter, corporate, military, or private pilot will be when you and your loved ones are aboard. 5. 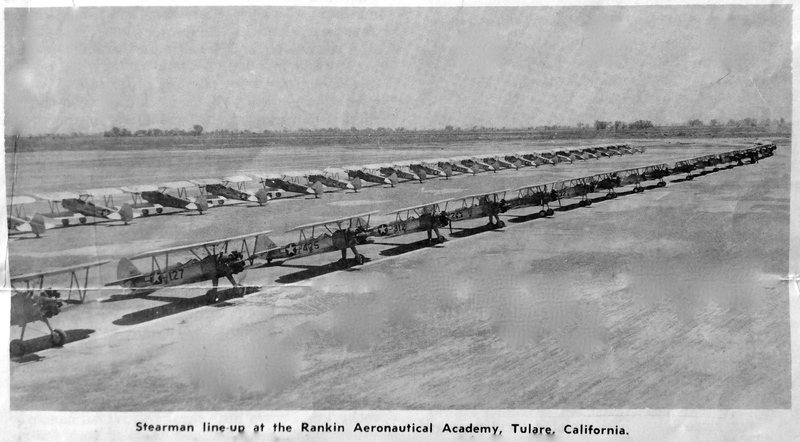 The problem of lack of flight schools will solve itself when the demand is there. 6. In many, perhaps most, places, the CFI training process is appallingly long. I know instructors are important from a safety standpoint, but what they do is neither rocket science or brain surgery, so it shouldn’t take as long to earn an instructor certificate as it does to get a PhD. Has the workforce imbalance reached the point where it can’t be turned around? That’s a question I can’t answer. But I look at my 3-year-old son and think how incredibly sad it would be to know our generation used the world’s finest general aviation system to it’s fullest… and then watched as the ladder came up behind us. 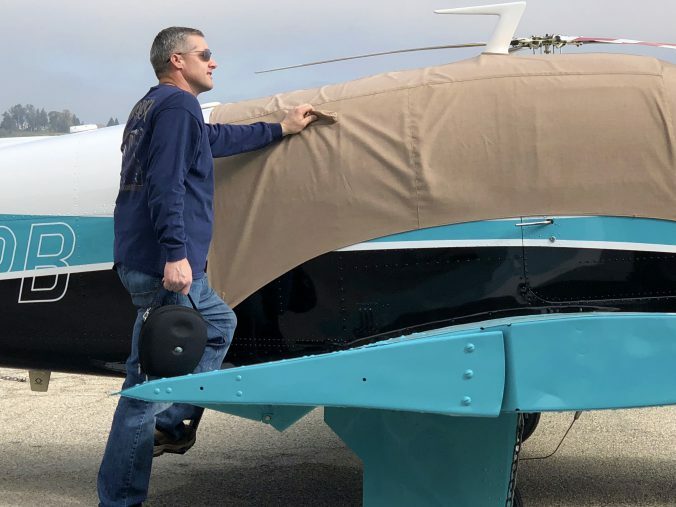 Ron Rapp is a Southern California-based charter pilot, aerobatic CFI, and aircraft owner whose 9,000+ hours have encompassed everything from homebuilts to business jets. He’s written mile-long messages in the air as a Skytyper, crop-dusted with ex-military King Airs, flown across oceans in a Gulfstream IV, and tumbled through the air in his Pitts S-2B. Visit Ron’s website. Whether flying helicopters or airplanes, sometimes it may be necessary to modify a flight plan enroute to incorporate an alternate route, altitude or destination. If plan A isn’t working, relax, there are plenty more letters in the alphabet. Diligent planning prior to takeoff helps ensure that altering a plan in flight won’t be cause for concern. Whatever change is considered, it must be within the capabilities of the aircraft with regards to the amount of safe fuel onboard. The range of the aircraft, considering the amount of safe fuel and current environmental conditions, is called the radius of range (ROR). The ROR is never static, but constantly changing throughout flight. 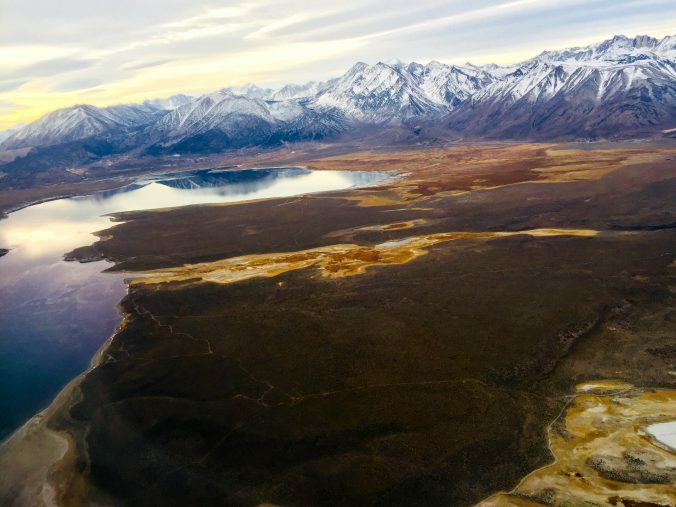 Many of us fly aircraft over desolate areas of the West and Alaska, or offshore to oilrigs where refueling locations and helidecks are few and far between. Though helicopters have some advantages over airplanes, range and fuel endurance isn’t usually one of them. Beating the air into submission takes a lot of fuel, with a relatively high fuel consumption to weight ratio as compared to airplanes. On the other hand, while airplanes tend to have more range than helicopters, they are more restricted on where they can land. Both aircraft have their advantages, and all pilots need to continually assess available options which may be affected during flight due to changing weather and wind conditions, aircraft performance and condition, and the amount of safe fuel remaining. Safe fuel is the amount of fuel not including a reserve; the reserve being the greater of what is required by FAA regulation or what the pilot considers necessary. Many pilots regard fuel planning as a linear calculation, where only the departure and destination points are considered. The formula for point of no return (PNR) is such a calculation that does not consider options off the route of flight. The PNR is a specific point along the route where should the aircraft fly beyond, it will lack sufficient fuel to turn back and safely land at the departure location with a reserve remaining. Below is the formula for PNR in minutes and conversion to PNR in miles. GS2 is the ground speed opposite of the course to be flown. GS1 is the ground speed on the course to be flown. Using the two formulas one can determine the PNR for a flight in terms of the number of minutes flown and the number of miles flown. Subtract the PNR miles from the total route miles to determine the amount of miles remaining to the destination, which may be more useful when viewing a GPS or FMS. While PNR for a flight is a useful calculation, it is a linear 1-dimensional calculation and we can do much better adding more dimensions to our planning. Most of the time a flight will have more options available than simply the departure and destination locations, and so we find the old PNR formula and that way of thinking to be insufficient. Let’s add another dimension and consider not just the route of flight, but also the possibility of changing course anytime should changing conditions dictate using the ROR concept. 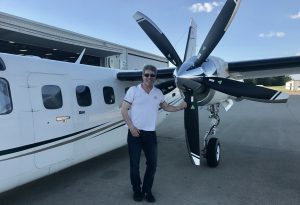 I recently flew a helicopter from Anchorage to the Leonardo Helicopters factory in Philadelphia, which was more than 3200 nautical miles with 14 fuel stops. 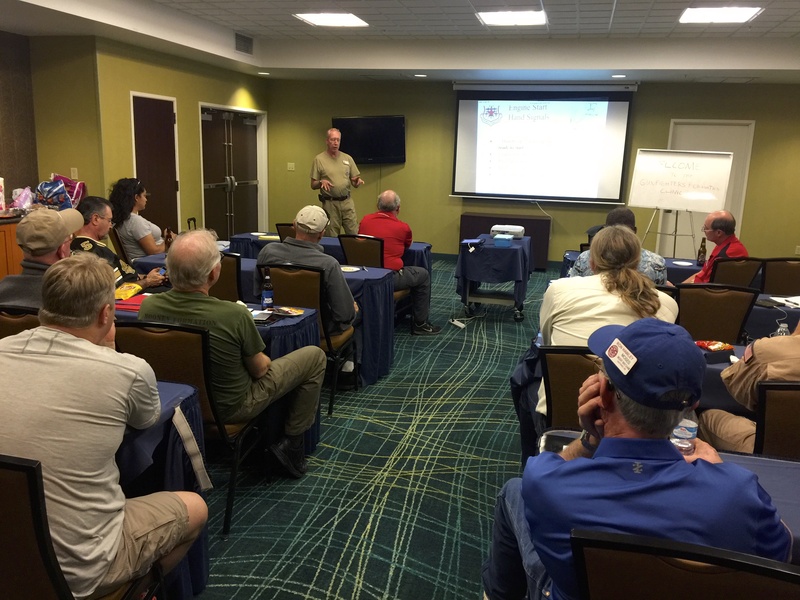 ROR flight planning was a critical aspect, especially during the first few days through Alaska and western Canada. However, it would increase the margin of safety for any cross-country flight, regardless of where one is flying. The ROR is the distance the aircraft is capable of flying at any given point, and is represented by a large circle around the current aircraft position. The radius of that circle is dictated by the amount of safe fuel on board, cruise speed, and winds aloft. Let’s use a heavily loaded AW139 flying at 150 knots only carrying 1.3 hours of safe fuel as an example. In calm winds, the ROR at takeoff would be 195 miles, which is the maximum distance it could fly and still land with a reserve remaining. During flight as fuel is consumed the ROR will naturally decrease. On this chart, the yellow circle depicts the ROR departing from Burns, Oregon. At this point, the aircraft is just starting to consume fuel and the ROR is at its largest. We can see at takeoff the destination is just within the ROR, indicating a planned landing with just the fuel reserve remaining. As the flight progresses and fuel is consumed the ROR decreases, and there becomes a point a little over halfway where returning to the departure point is no longer an option, corresponding to the PNR. The orange circle is the ROR at 93 nautical miles, the halfway point of the flight. As we near the destination the ROR continues to decrease to the point where many fewer options are available and at a certain point the only course of action is to land at the destination. The red circle is the ROR at 140 nautical miles. There are just four other airports within the ROR at 140 nautical miles and in another 20 nautical miles there won’t be any, other than the destination itself. In the chart below we have essentially the same ROR chart, but with a 20-knot wind out of the west. As one can see, all the ROR circles offset downwind. This graphically shows that with a strong wind condition one is usually better off turning downwind for an alternate option, as there is more area within the ROR downwind than there is upwind. Let’s add the third dimension to consider: altitude. Note that everything within the ROR may not necessarily be a viable option. It is possible that parts of the area within the ROR are further constrained by high terrain and weather. Maybe a ceiling prevents a climb in VFR to a necessary altitude in order to safely clear a mountain ridge east of course. Or maybe its getting near the end of the day when daylight will be waning and crossing a mountainous area in VFR flight without much illumination isn’t safe. We obviously don’t live in a flat world and must consider altitude. The last dimension is time, and is considered throughout the flight. A prudent pilot will assess if weather currently reported is better or worse than forecast, and try to get an idea of what the trend is up ahead and near the destination. On this particular flight a pilot would make early and careful assessments as to winds aloft, changing current weather conditions, and amended forecasts along the route of flight and areas inside the ROR. Should one encounter a worse than planned condition, such as a stronger headwind or worse than forecast weather enroute, making a decision to alter the planned flight in the early stages is better than in the later stages. In the early stages more options are available and one can carefully choose the best, whereas in the later stages of the flight options will have dwindled along with fuel. With deteriorating conditions this flight could evolve into a situation supporting the old adage; a superior pilot uses superior judgment to avoid the necessity of using superior skill. As we know, superior judgment for a pilot is using all available information to determine what risk may present in the future, and then determine a course of action to avoid or mitigate that risk. The final chart is an example how a pilot might incorporate terrain issues, forecast weather and NOTAMs into the ROR chart. 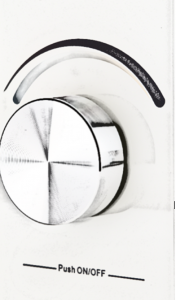 One can add notes along with the depicted ROR circles. Maybe weather forecast to the west towards Pendleton and Walla Walla indicates marginal VFR conditions. 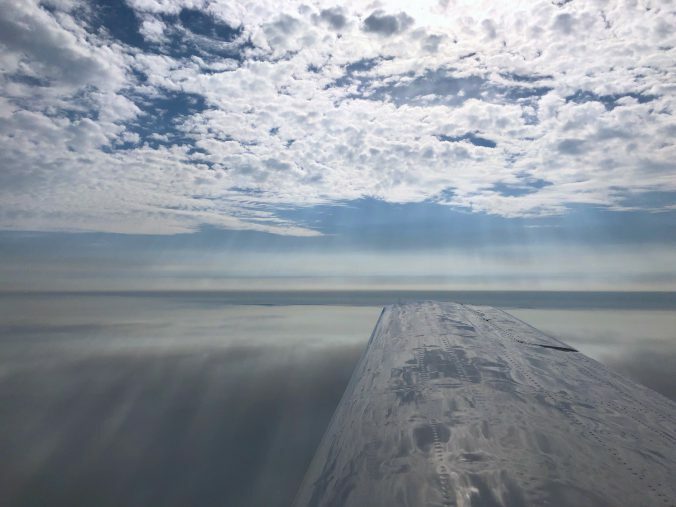 One may consider taking those areas out of the ROR, especially coming from higher terrain where it may not be possible to safely get under a cloud layer. To the east is higher terrain, which may block access in that direction; it is also the windward side of a mountain area, which tends to collect a lot of cloud cover. Also noted is a NOTAM for an airport along the route of flight for fuel out of service, though it could still be used for a safe landing as one of the last options. Airports circled in green highlighter represent good enroute options should a diversion with landing become prudent, such as when facing deteriorating weather or an aircraft problem of some kind. Of course if things really get bad, let’s call it plan Z, we can usually find a place to just land. Helicopters definitely have an advantage over airplanes for landing off-airport, though I’ve seen some amazing bush pilots in Alaska. Plan Z is certainly better than running out of fuel or flying into dangerous weather, and sometimes, JUST LAND is the best option. During my power line patrol days in the 1980s, I knew many of the farmers along the route from visits during the summer. These farms made for some good alternates during the winter, when I would occasionally land for a welcomed cup of coffee to wait out the odd snowstorm. The ROR certainly doesn’t provide everything a pilot needs to think about but it does help with a graphic visualization of areas available throughout the flight. Next cross-country flight, get a sectional chart out and make some ROR circles using a highlighter along the route of flight. Use any color and at any increments you desire. Remember to offset the ROR circles downwind, in relation to wind speed and time of flight. For example, a 40-knot wind would have an offset of 40 nautical miles for an hour flight, 60 nautical miles offset for a 1.5-hour flight, and an 80 nautical mile offset for a 2-hour flight. Once in flight, there isn’t much a pilot can do to alter the aircraft ROR. Consider how slowing down to a maximum range cruise speed will increase the ROR. Hopefully, your Rotorcraft Flight Manual will have fuel consumption charts, if not you will have to rely on past experience for fuel consumption rates. Maybe someday flight planning and moving map apps, such as Foreflight will provide an enhanced ROR map overlay option, but for now a couple of colored pens and a trusty sectional chart will suffice. Markus Lavenson is currently flying for Era Helicopters as a captain in the Sikorsky S92 and Leonardo Helicopters AW139 in Alaska and the Gulf of Mexico in oil and gas support missions. His varied career began shortly after graduating from the University of California at Davis, and has included everything from flight instruction and powerline patrol to HEMS and external load operations. His more than 10,000 hours of flight time comes from more than a dozen different types of helicopters and airplanes. Holding an ATP helicopter and commercial multi-engine fixed-wing, he also is a flight instructor fixed-wing and instrument flight instructor helicopters. Lavenson enjoys the intricate work of helicopter instrument flying, whether it’s to an airport on Alaska’s North Slope or one he creates to an oil rig hundreds of miles offshore.